A quick (but half decent) test shot with my new Canon EF 70-200mm f/4.0 L USM Lens. 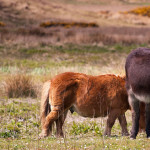 Pity about the pony in the background, but hey, I still like the photo! 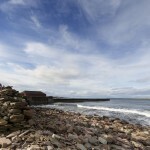 Taken at Wick Riverside. 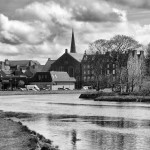 Wick Old Parish Church is a fairly prominent structure in the centre of Wick. 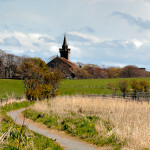 You can see its steeple from several miles outside the town, but this image was taken along the Wick Riverside path using my new Canon 70-200mm f/4 USM L .
Whilst I’m not a massive fan of John o’ Groats as a place to visit, the shore there certainly makes for a good photo!